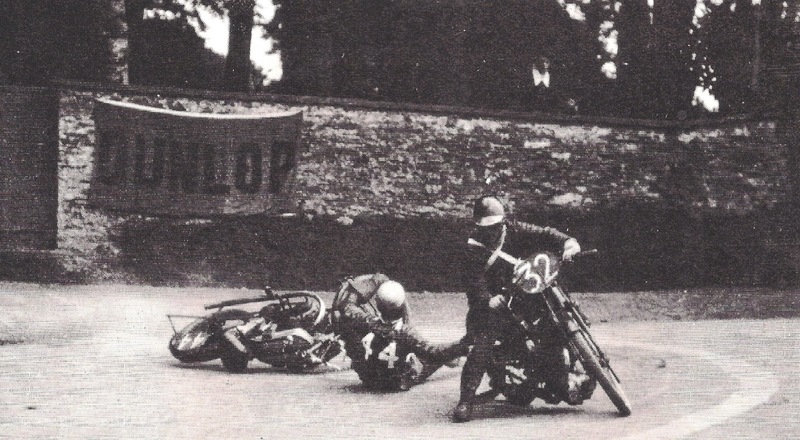 -SG- ... perhaps would not have minded this 1924 TT photo. Roger has checked the race report in the MotorCycle and it appears Stanley Woods - attempting to nip through on the inside - caught Joe's handlebars. What's more, Joe remounted and finished a creditable 12th.